A technical knowledge of fluid power principles is required to successfully match components with applications, as well as to repair these components. Laurel Fluid Power’s employees have over 100 years combined experience in hydraulics and pneumatics, and use their knowledge every day to add value to the products and services that we offer. New rods, tubes, pistons, machined as required. 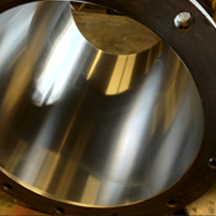 Critical tolerances checked and returned to proper specification. Repaired cylinders tested to ensure quality. 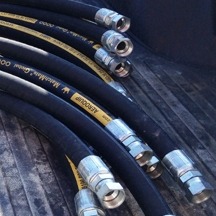 Up to 2” 4-wire hydraulic hose. SAE, JIC, NPT, ORS, and flange connections. British, German, Japanese, French, and other metric connections. Non-conductive, high-temperature, and other specialty hoses in stock. ¼” -1 ¼” seamless hydraulic grade tubing in stock. ORS Braze connections also available. 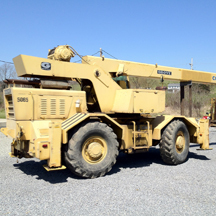 Inspected for proper function, repaired or replaced as appropriate.